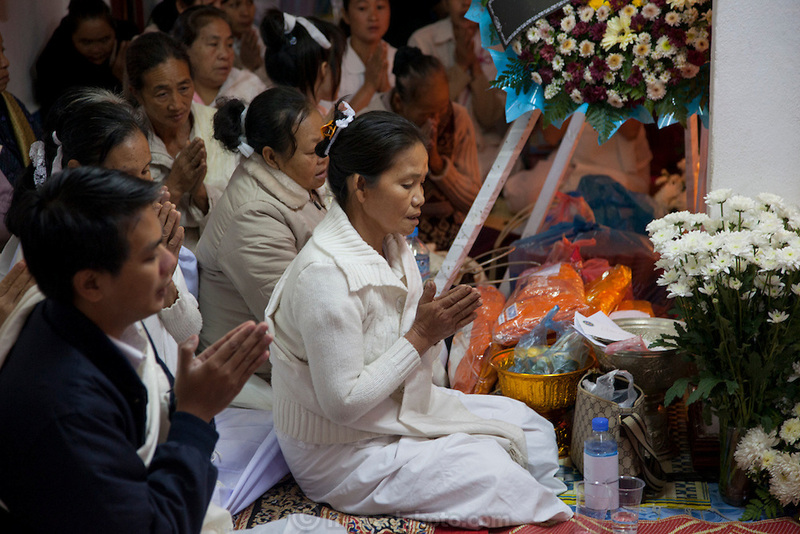 Funeral of Mr. Voua Sy Amkha, 63, at home in Ban Navieng Kham village, a suburb of Luang Prabang, Laos, and then cremation at the central crematorium site in Ban Vieng Mai. The propaganda official for the Lao government in Luang Prabang died of a stroke. His wife is in white in the center of the photo.